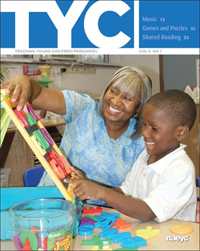 Teaching Young Children is NAEYC's magazine for anyone who works with preschoolers. 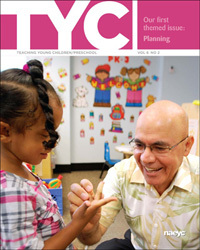 Colorful, informative, and easy-to-read,TYC is packed full of teaching ideas, strategies, and tips. The October/November 2012 issue features articles on supporting transitions, including creative dance, and using tablets with preschoolers. To subscribe, please visit the TYC website or call 800-424-2460.